Wondering if you need to have a US passport to go on that trip you’ve been dreaming about? The quick answer is that if you are traveling anywhere outside the US, you need to have a valid US passport. Passport requirements apply to all travelers, including newborn babies. Read on for the Passport Requirements for Popular Destinations. Do I need a passport to go to Canada? Yes. Your US passport must be valid at the time of entry. If you are flying to Canada, you must have a passport book with one blank page marked “Visas”. If you are entering Canada by land or sea, you may use a passport card or a passport book. Do I need a passport to go to Mexico? Yes. Your US passport must be valid for at least six months past the time of entry. If you are flying to Mexico, you must have a passport book with one blank page marked “Visas”. If you are entering Mexico by land or sea, you may use a passport card or a passport book. Do I need a passport to go to Jamaica? Yes. Your US passport must be valid at the time of entry. If you are flying to Jamaica, you must have a passport book with one blank page marked “Visas”. If you are entering Jamaica by sea, you may use a passport card or a passport book, but passport books are preferred because entry officials may not be familiar with the US passport card. Do I need a passport to go to on a Caribbean cruise? Yes. Your US passport book must be valid for the full duration of your cruise. Although many Caribbean cruise destinations allow US citizens to enter using a passport card, most cruise lines require that passengers have a passport book in case of an emergency that would require flying you back home. Do I need a passport to go to the Bahamas? Yes. Your US passport book must be valid at the time of entry and must have two blank pages marked “Visas”. Do I need a passport to go to Bermuda? Yes. Your US passport book must be valid at the time of entry and must have one blank page marked “Visas”. No. As Puerto Rico is a US territory, you do not need a US passport to enter. Do I need a passport to go to Costa Rica? Yes. Your US passport book must be valid for the full duration of your stay and must have one blank page marked “Visas”. Do I need a passport to go to Honduras? Yes. Your US passport book must be valid for at least six months past the time of entry and must have one blank page marked “Visas”. Do I need a passport to go to Brazil? Yes. Your US passport book must be valid at the time of entry and must have two blank pages marked “Visas”. You will also need a travel visa. Do I need a passport to go to the United Kingdom (England, Wales, Scotland, and Northern Ireland)? Do I need a passport to go to France? Yes. Your US passport book must be valid for at least six months past the date of entry and must have one blank page marked “Visas”. Do I need a passport to go to Italy? Yes. Your US passport book must be valid for at least three months past your planned duration of stay in Europe and must have two blank pages marked “Visas”. Do I need a passport to go to Spain? Yes. Your US passport book must be valid for at least three months past your planned duration of stay in Europe and must have one blank page marked “Visas”. Don’t see your destination listed here? 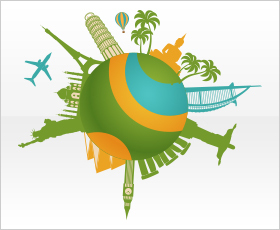 Contact us to find out the passport requirements for the country you plan to visit.